Fundraiser by Valarie Abney : Museum of Friends needs your help! Museum of Friends needs your help! Seize the chance along with Valarie and friends to support the Museum of Friends! The Museum of Friends has received hundreds of donations of modern and contemporary art: paintings, prints, sculptures etc. from well-known artists all over the world and southern Colorado. Every piece in this extraordinary collection has an amazing story about its journey to Walsenburg. These stories, communicated by the co-founders Brendt and Maria, are fascinating and one of a kind. They share the provenance of the pieces, their relationship to the Museum and create an oral history which should be preserved as part of the Museum and its place in the community. The artwork was donated to the Directors in the spirit of friendship and sharing, artist to artist, from such artists as Dean Fleming, Christo, Richard Mock, Arnold Wechsler, and Jaune Quick-to-See Smith just to name a few. Brendt and Maria are sharing this special collection with the community. The works are not for sale only for appreciating. The first step is to make an audio tour of 120 selected and curated pieces from the collection, followed by the archiving of the rest of the collection. In this way Brendt and Maria’s compelling stories of their friendships with the artists will be documented and shared. The legacy of these artists and their art needs to be preserved as part of the story of modern art in America and the unknown art history of southern Colorado. 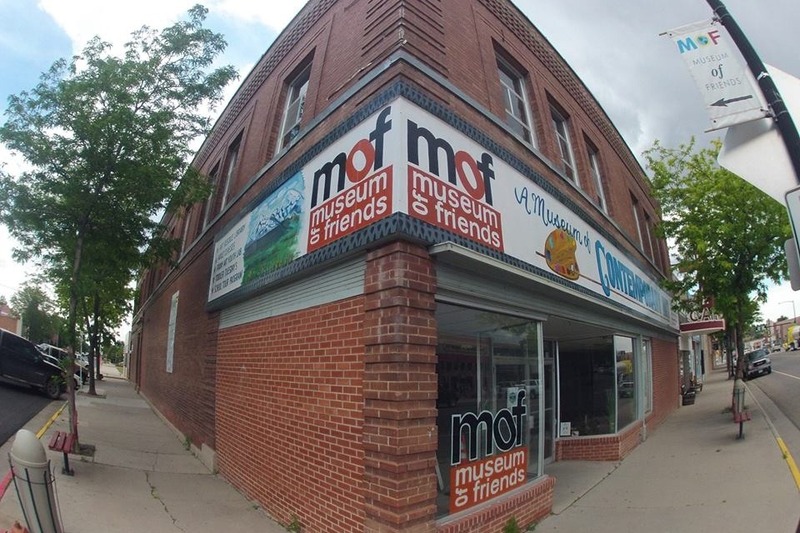 The Museum of Friends is seeking $6,500 to complete this project, which includes audio equipment, a 5-year subscription for the platform to launch the tour, a paid internship to complete archiving of over 1000 pieces, and ongoing technical expertise. Valarie is coordinating the project and questions may be addressed to her through the Museum of Friends at the MoF website: www.museumoffriends.org. We have had many generous donations, reached $1000.00 Thanks to all of you. Many of the donations have come from those who know about the museum, may have been there and think this is a great idea and timely. Please share this and give if you are able. Then come down to Walsenburg when the project is complete and see your generosity in action.